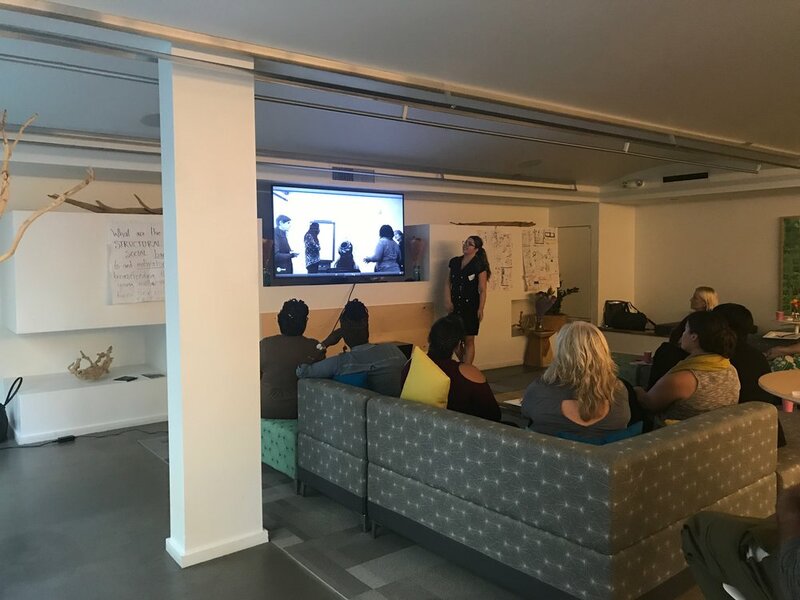 After three years of planning and conducting research with young mothers on the disparity in breastfeeding rates between young and older mothers here in the Bay Area, we hosted a celebration to share our findings with the community that was a great success! We had community members from all over the Bay come out to check out what we’ve been up to these past three years. First, we indulged in some delicious Mediterranean food from Oasis Grill. Shout out to them for all those great flavors they brought to the table! Next, we did a little mix and mingling before we jumped into the presentation of our findings. Thanks to the Domain Apartments right across from Preservation Park for providing an open and laid-back atmosphere for our event! The heart of the event was our presentation which was presented by our research team and Co-PI’s. Each presenter did a great job presenting the pieces to the puzzle in a way that was engaging and grabbed the audience’s attention. 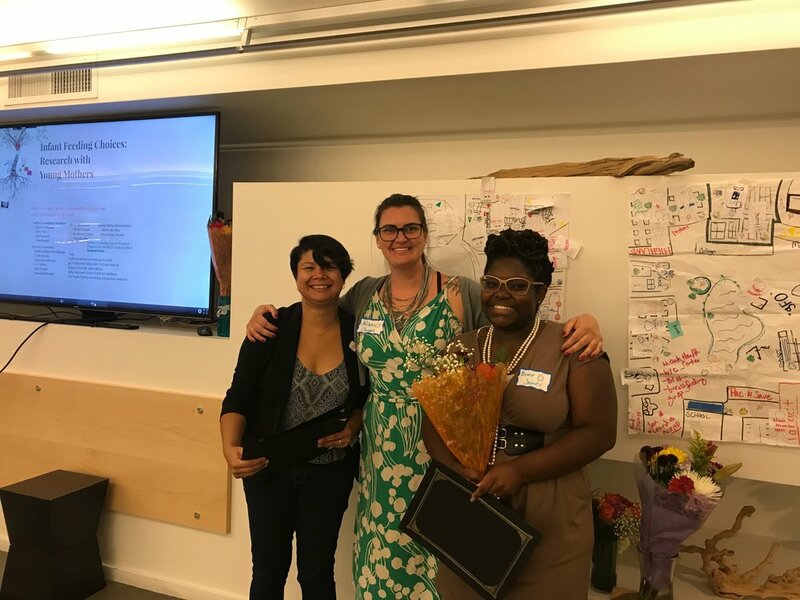 Awards and beautiful flowers were presented to everyone on the research team and our wonderful volunteer Advisory Committee as a thank you for the time and hard work they put into this project. Last but not least, we had fun playing a game called “Multi-tasking Mama” - it was indeed a great way to end the night!